Yesterday I reached level 16 as an Ingress Agent. I made sure as many of my badges as I could were nice round numbers. As well as my AP, of course! 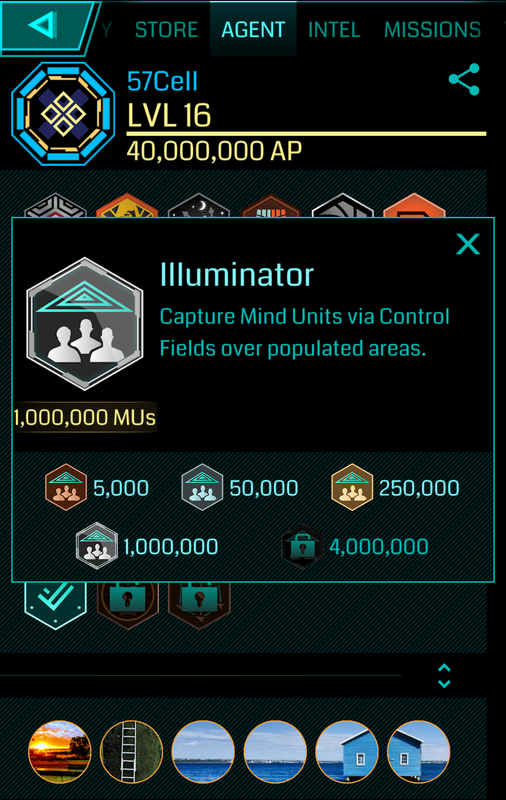 About 17 months ago, I reached 33,333,333 AP, and simultaneously got my Mind Controller badge to 9999 and Illuminator to 999999. Wondering what to do next, I tentatively started to slow push to level 16, and thought – wouldn’t it be nice to push those both to Platinum exactly on 40,000,000 AP? That idea grew, completely out of control. When I reached level 16 yesterday, 14 of my badges were on nice round numbers. For Mind Controller and Illuminator was wait – play without fielding until I had enough AP to hit level 16. This was easier said than done, since my Connector badge was only about 9700 or so. I had to make about 300+ links with no accidental fields. 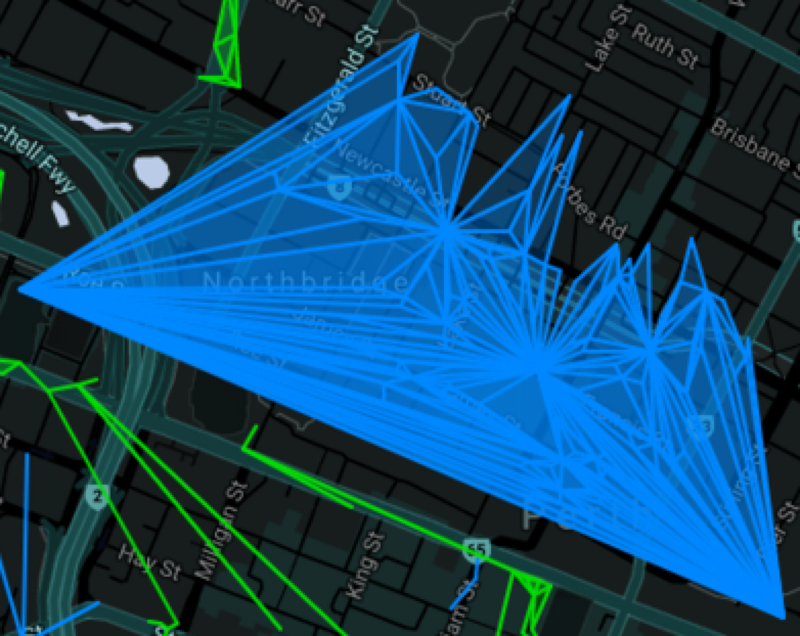 During the Perth anomaly, I attempted only one link, to move a shard. The link failed. My team was okay with this. Thanks, guys, I made it! 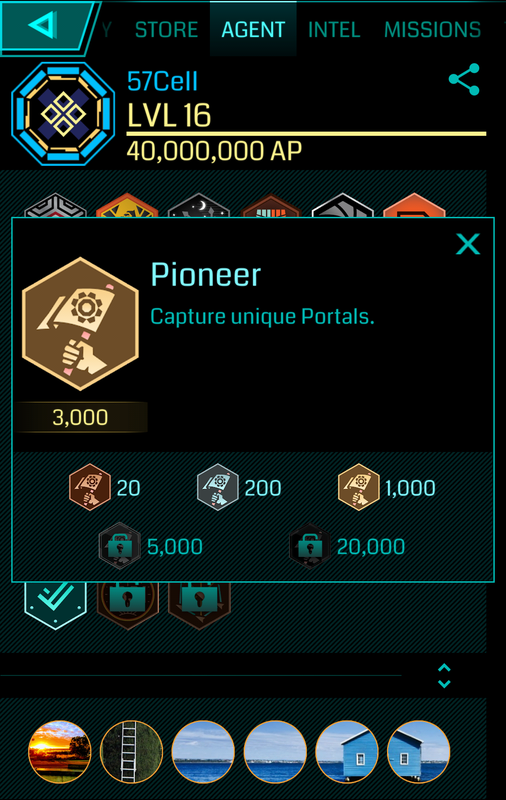 Mission Day, however, meant that my explorer badge was closer to the target than Pioneer. I needed to carefully scour old play areas for portals I’d touched but not captured. These two badges had to approach their targets in an uneasy dance with Liberator and Builder. I needed to alwasy be sure I had enough deploys left to make the captures, and enough captures to build up Pioneer – but not get Pioneer on target too early, in case I accidentally bumped it while working on Liberator. In the end, it all worked out. Before I could finish Purifier, I had to finish Translator. AP for Glyph hacking is unpredictable. I’d need to strike out a carefully-chosen number of ENL links to make sure my AP would end on a multiple of five. Carefully-chosen deploys would make sure it was destined to be a multiple of 100, then the right balance of clean and dirty hacks would ensure I’d reach 40,000,000. Agent @ekg submitted a carefully designed mission (with a beautiful sunset picture) so that I’d be able to get the mission badge to Platinum as I completed my last link and field. Engineer also clocked to gold on that last portal. My contributions to the portal network are also round numbers. Eighty is a round number, isn’t it? The hardest badge to make into a round number is Recharger. 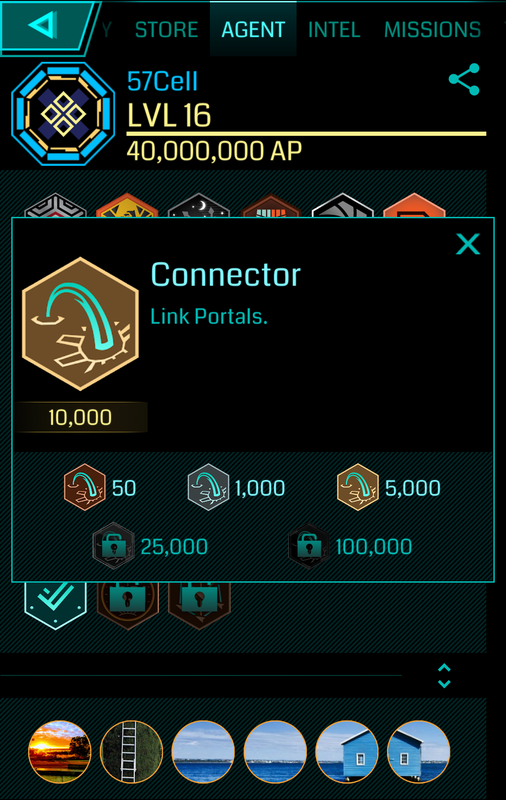 First, I found combinations of portals I could fully recharge so that I’d be a multiple of 150XM away from 40,000,000. Then, combinations of naturally-decaying portals to put me within a multiple of 4500XM. Finally, a Picked out a fully-deployed portal, and just recharged that exact 4500 every morning. with the missing XM somewhere on Niantic’s servers, waiting for my next recharge. I did submit a support ticket, but the support staff – helpful, friendly and responsive – were nonetheless unable to do a force-update of my recharger stat. More than making up for that, the icing on the cake is found in the “Defense” section of my stats. There, you’ll see something amazing. If you want to see my stats for yourself, you can ping me in Comms @57Cell. Tell me your favourite Sci-Fi author, or tell me why I should read your favourite book in some other genre. Or just say Hi! Yesterday I reached level 16 as an Ingress Agent. About 17 months ago, I reached 33,333,333 AP, and simultaneously got my Mind Controller badge to 9999 and Illuminator to 999,999. Wondering what to do next, I tentatively started the slow climb to level 16, and thought – wouldn’t it be nice to push those badges both to Platinum exactly on 40,000,000 AP? For Mind Controller and Illuminator it was a matter of waiting – play without fielding until I had enough AP to hit level 16. This was easier said than done, since my Connector badge was only about 9700 or so. I had to make about 300+ links with no accidental fields. These two badges had to approach their targets in an uneasy dance with Liberator and Builder. I needed to alwasy be sure I had enough deploys left to make the captures, and enough captures to build up Pioneer – but not get Pioneer or Explorer on target too early, in case I accidentally bumped them while working on the others. In the end, it all worked out. Before I could finish Purifier, I had to finish Translator. AP for Glyph hacking is unpredictable, and then I’d need to break a carefully chosen number of ENL links to make sure my AP would finish on a multiple of five. Carefully chosen deploys would make sure it was destined to be a multiple of 100, then the right balance of clean and dirty hacks would ensure I’d reach 40,000,000. The hardest badge to make into a round number is Recharger. First, I found combinations of portals I could fully recharge so that I’d be a multiple of 150XM away from 40,000,000. Then, combinations of naturally-decaying portals to put me within a multiple of 4500XM. Finally, I picked out an isolated fully-deployed portal, and just recharged that exact 4500 every morning. 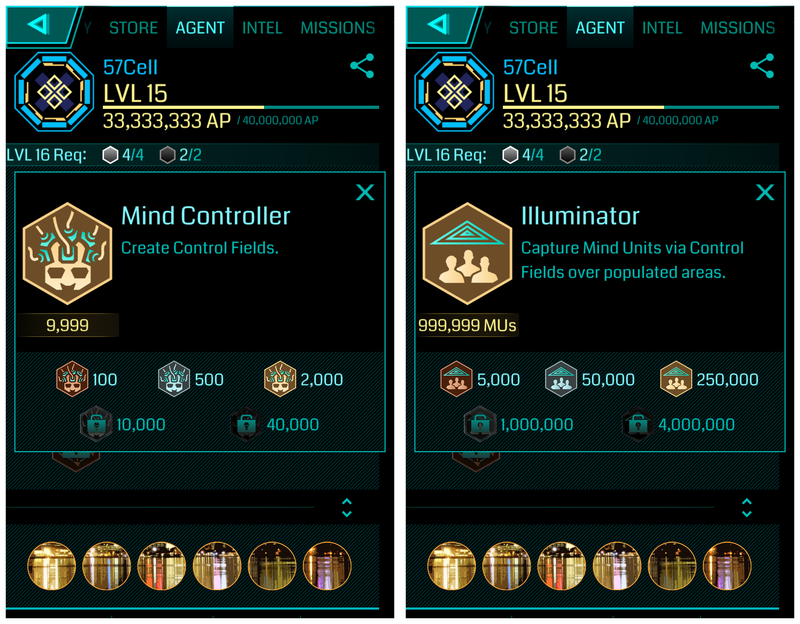 Today I reached level 16 as an Ingress agent!